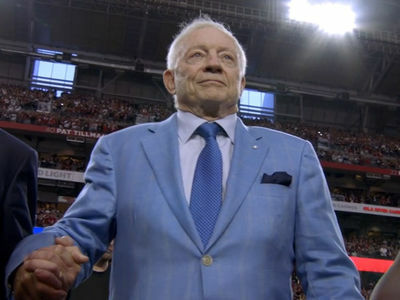 Jerry Jones I Won't Fire Garrett ... He Can Lead Us To A Super Bowl! 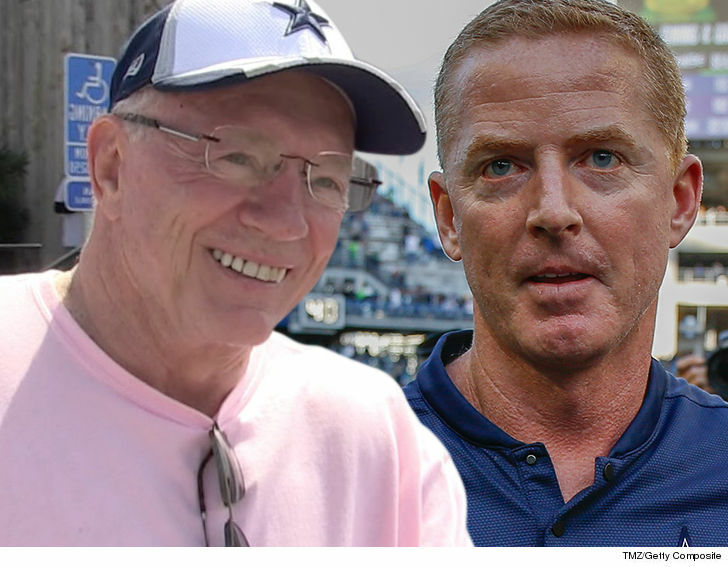 Jerry Jones Won't Fire Jason Garrett, Says He Can Lead Cowboys To A Super Bowl! Sorry, Cowboys fans ... looks like you're stuck with Jason Garrett -- 'cause Jerry Jones just went to bat for the embattled head coach, saying he won't fire him!!!! 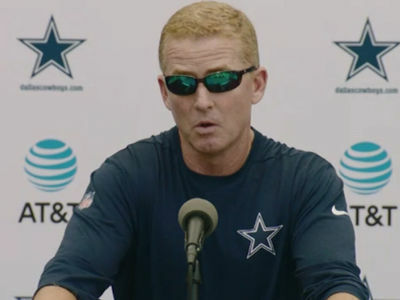 "Jason Garrett is absolutely the real deal," the Cowboys owner said on 105.3 The Fan, "There's no fraud in Jason Garrett." Of course ... many in Texas would disagree -- considering the Cowboys have won just ONE playoff game in J.G. 's EIGHT-PLUS SEASONS ... and are off to a forgettable 2-3 start this year. "Does he have some things he could do better? Of course," Jones says. "But, what I think we have here is an asset that will get us to where we want to go, which is a championship." You know what that means Dallas??? MORE CLAPPING COMING!!!!!!! !